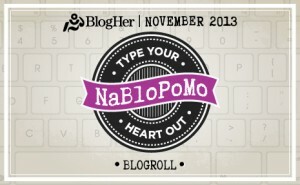 Need a challenge for November? 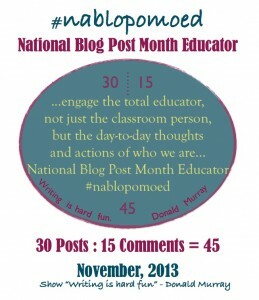 I’m not sure if National Blog Post Month is official, but I signed up here. I’ve seen #nablowrimo and #nablopomo tags, so the challenge is on for me at #nablowrimo. 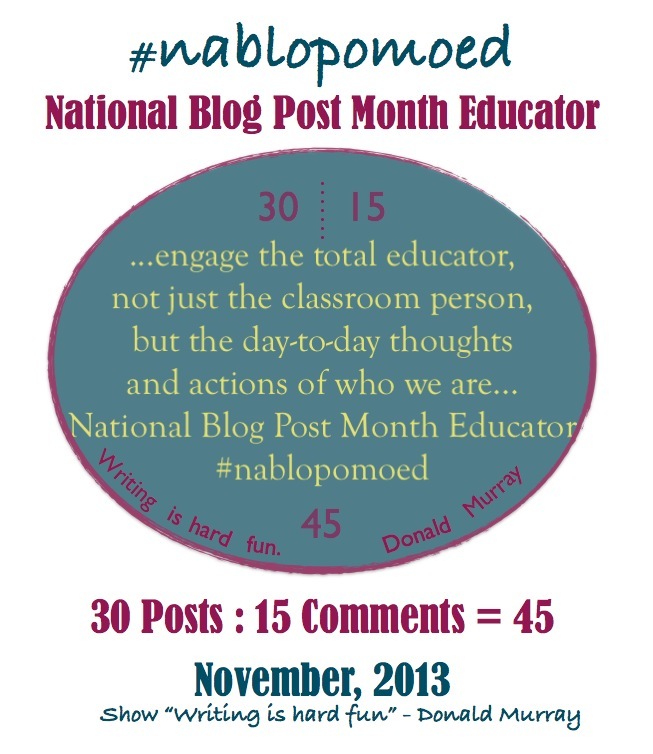 However, the prompts suggested for most bloggers are not ones that meet my focus. 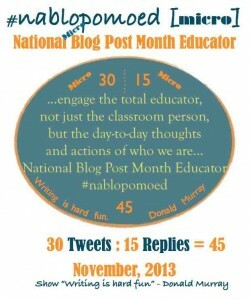 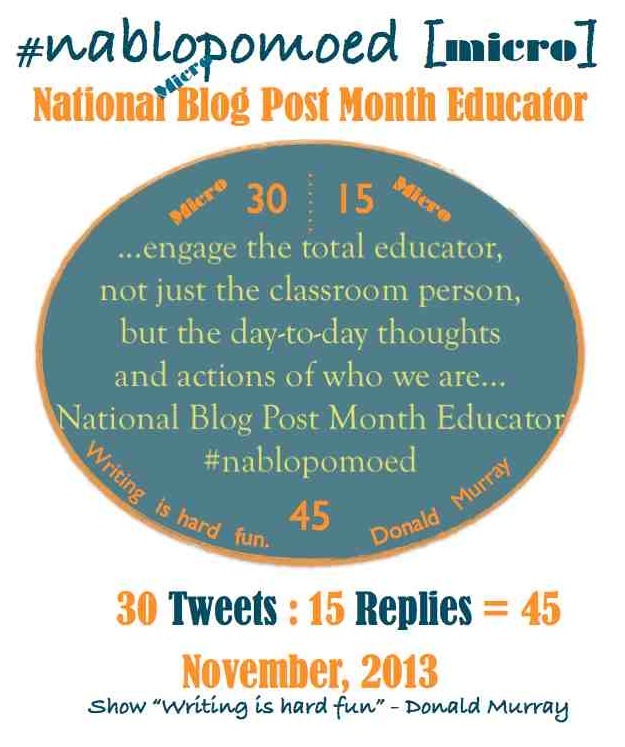 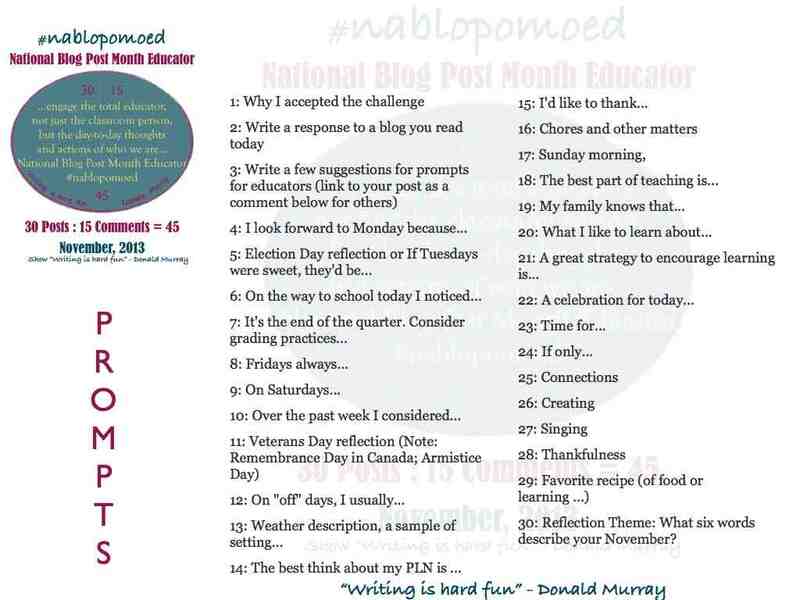 So, if you are an educator who wants a challenge for November — not a word count, but a post count of “30 blog posts and 15 comments,” here are some possible prompts for the month of November. 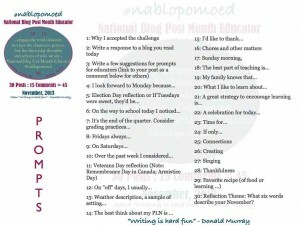 30: Reflection Theme: What six words describe your November?